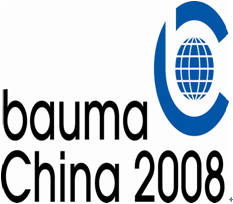 JCHI is going to exhibit at BAUMA China 2008 at <?xml:namespace prefix = st1 ns = "urn:schemas-microsoft-com:office:smarttags" />Shanghai New International Expo Center, China, on 25-28 November, 2008. The major products including truck chassis, GTBZ self-propelled telescopic boom lift and CE approved GTJZ self-propelled scissor lift will appear at BAUMA China 2008. We hope through this exhibition, more and more customers around the world would know better about JCHI and its products.